When you are looking for light bulb signs in Purley, A1deSIGNS has exactly what you are looking for, whether you are in need of a large fascia sign that directs just the right amount of interest to your west end theatre or individual lighted letters, light bulb signs, or fairground lights that ensure your home, office or business stands out from the rest. 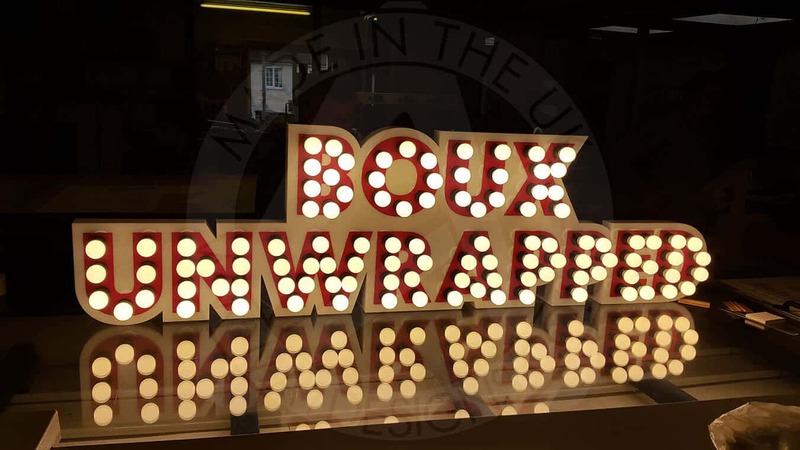 Light bulb signs and fairground lights can be lit up in a variety of ways, including flashed or chased, to create movement in your sign that captures the attention of anyone walking by. Thanks to our experience and manufacturing abilities, we are able to provide you with a final product that far exceeds even your highest expectations. Here’s a quick look at just a few of the things our light bulb signs have to offer. Our Light Bulb Signs Will Light Up Your Life. When your goal is establishing the ultimate Hollywood glamour effect, light bulb signs can provide exactly what you are looking for. In addition to looking amazing and flashy, light bulb signs are ideal for use when you want to light up and emphasize a certain area of a room. This is particularly beneficial if you want to create a glitzy and glamorous effect in your shop, home, or workplace. Our Light Bulb Signs Have Energy Efficiency in Mind. It almost goes without saying that the use of numerous light bulbs can not only brighten up a place, but also send your energy consumption through the roof, which is not good for the environment or your monthly energy bill. Fortunately for you, at A1deSIGNS, we have taken all of this into consideration. If you prefer, we will only use energy efficient light bulbs to manufacture your light bulb signs. As a result, you will get to enjoy all the sparkle that comes with a high quality light bulb sign without spending a ton of money month after month. Our Light Bulb Signs and Fairground Lights are Available in a Wide Variety of Options. Whether you know exactly what you are in the market for or are simply looking for future ideas, you will find our huge array of styles and colours offers you plenty of options. Simply visit your Colour Selector page to get an in-depth look at all the options currently available. If you can’t find what you are looking for, contact us and we will see what we can do for you. 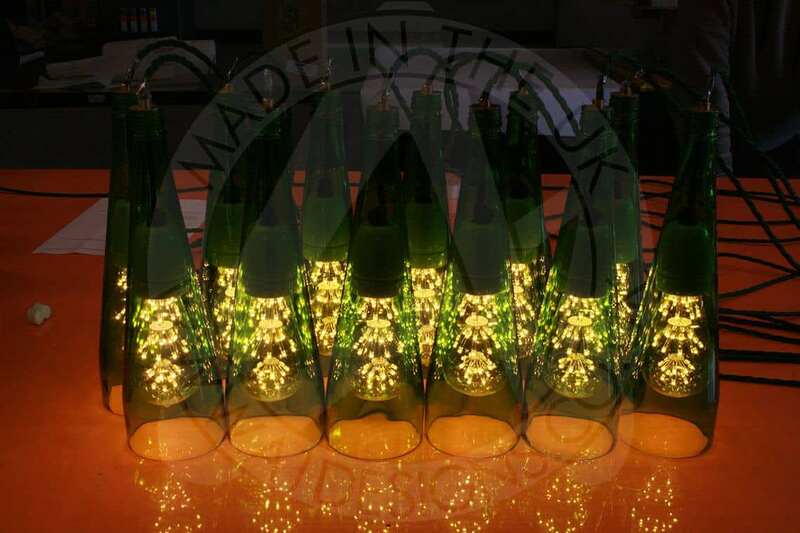 At A1deSIGNS, we have the experience, knowledge, and know-how needed to produce only the highest quality light bulb signs and fairground lights that will meet your requirements. We are more than happy to offer our expert advice on everything from what materials you should use to what colours best suit your needs and even where to set up your light bulbs sign for the maximum benefits. Contact us today to get started. Not only are we ready to discuss your specific needs, but we also give free price quotes.